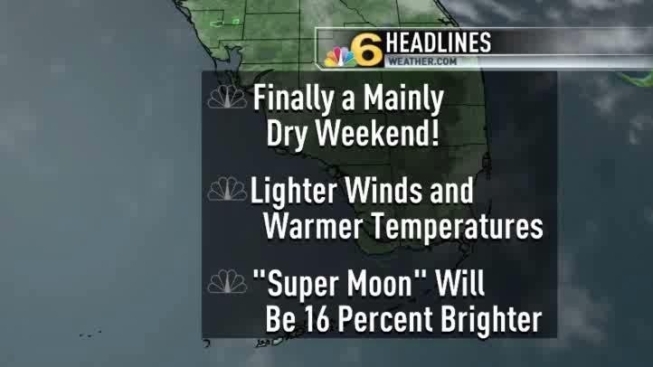 A mainly dry weekend is finally in store for South Florida. It’s the first time in about a month that heavy downpours are not in the forecast for Saturday or Sunday. High pressure will keep conditions stable and partly to mostly sunny on Saturday with a high near 86 degrees. Then on Sunday we’ll enjoy long sunny periods as well, though in the afternoon some isolated thunderstorms could form, mostly inland. Even then, the chance of rain will remain below 20 percent for the day, when the high will be 87. Next week could turn somewhat more active, with rising heat and humidity leading to spotty afternoon thunderstorms, especially Tuesday through Thursday. The average start date of our rainy season is May 20, but according to the National Weather Service it could well begin earlier than normal this year.